Okay, hopefully it's different in Australia. In Europe tier 2 is enough. The easy route is to make an account on Kraken, verify to tier 2 (no ID required for this tier). 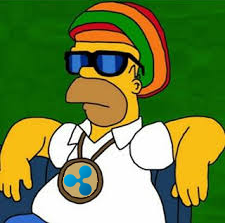 Then make a deposit in USD to your Kraken account and then buy XRP directly with your USD. Your wallet is already activated on Kraken, no need to fund it with 20 XRP. I don't know if Kraken is supported in Australia but they allow fiat deposit up to a certain amount (don't remember exactly, US$2000 per month?) without you having to provide ID. Only your name and address is required. However, they do not support credit card, you'll have to make a wire transfer. How do I keep Nano ledger cold? This page explains why the 20 XRP are needed for a wallet: https://ripple.com/build/reserves/ Basically, you can't take out the last 20 XRP from a wallet as they're used to make the wallet 'activated'. So once you've put in 20 XRP they will stay there. Thanks for making this guide! The part above might confuse some people though, as asking for wallet activation here is closed. Very interesting! You're a good example of how people can live off playing games. I have a friend who used to make money selling gold on World of Warcraft. My closest experience is that I've earned some money selling skins and stickers on Counter-Strike: Global Offensive. Can I ask you what your online job was? I'm generally curious as I'm looking to start working online. Only answer if you're comfortable sharing it of course! Enjoy your stay here. One thing to note in the case of Ripple wallets from what I've read: The secret key is stored on Gatehub's servers, although encrypted. The other way to access a Gatehub wallet is if someone manages to log in into your Gatehub account. Interledger Protocol VS COMIT NETWORK? Correction: "seems to be" If they are they're still very small. What I meant by competitor is that from my understanding Colu is developing a product similar to ILP or at least "business logic layer that’s capable of plugging into several different blockchains" and their target group is also (central) banks. The sending bank is the bank who sent the money, in this case Gatehub's bank. Your best chance of getting this resolved is to wait for an answer from Gatehub support.